Like many people, you likely have questions related to the cost of hospice care, and whether your private insurance or Medicare pays for this valuable end-of-life service. Please don’t hesitate to contact us with any questions about hospice coverage at (800) 229-8183 or by filling out our online form here. Most hospice patients in New Jersey have their hospice care covered through Medicare Part A, specifically the Medicare Hospice Benefit. This benefit pays for all hospice services related to the person’s terminal illness and any other related conditions. It’s important to note that the hospice benefit will not cover medications, medical equipment or services that are unrelated to the terminal diagnosis. For example, if a person has long-standing high blood pressure but is admitted to hospice due to terminal cancer, the hospice benefit will pay for the cancer drugs, but not the blood-pressure medications. The hospice staff can tell you which drugs are related to your terminal diagnosis, and which are not. In addition, costs of room and board are not part of the Medicare hospice benefit. Samaritan Healthcare & Hospice is certified by Medicare to provide hospice care. We accept their reimbursement as coverage for services related to the primary hospice diagnosis. For care unrelated to the terminal diagnosis, Medicare A/B will continue to provide patients their routine benefits including physician visits. Want to talk to someone about paying for hospice care? Call us 24/7: (800) 229-8183. 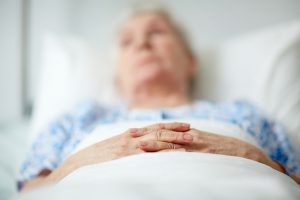 In order to be eligible for hospice care under Medicare, the patient must be entitled to Part A of Medicare and be certified as being terminally ill — having a prognosis of 6 months or less if the disease runs its normal course — by their attending physician and Samaritan’s medical director. Does Medicaid Pay for Hospice Care? Samaritan Healthcare & Hospice is also certified by Medicaid to provide hospice care. We accept their reimbursement as coverage for services related to the primary hospice diagnosis. For care unrelated to the terminal diagnosis, Medicaid will continue to provide patients their routine benefits including physician visits. Medicaid Hospice beneficiaries can also have the costs of their nursing-home room and board covered through the Medicaid Hospice Benefit. In order to be eligible for hospice care under Medicaid, the patient must be eligible for Medicaid, and be certified as being terminally ill — having a prognosis of 6 months or less if the disease runs its normal course — by their attending physician and Samaritan’s medical director. 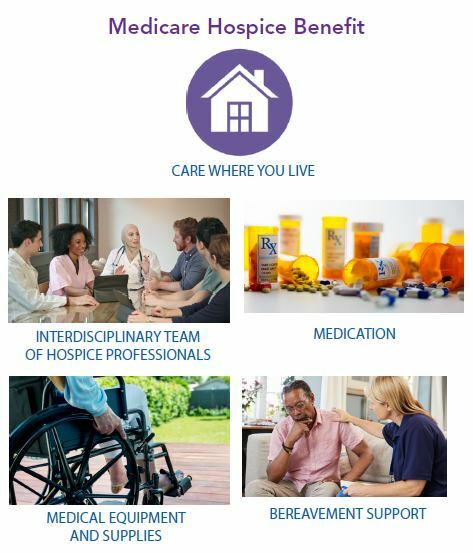 Since hospice is a managed health care delivery system, any physician office visits, emergency room visits, hospitalizations, or treatments related to the hospice diagnosis must be coordinated through the Samaritan care team in order to ensure payment. 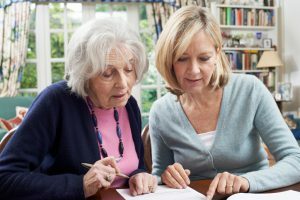 Learn more about hospice eligibility requirements now. Does Private Insurance Pay for Hospice Care? Most private insurance plans, military/VA plans, HMOs, and other managed care organizations also have hospice benefits that will pay for most, if not all, Samaritan services related to the hospice diagnosis. Supplies (e.g. adult briefs, catheters, wound dressings) delivered by Samaritan team members or vendors that make it easier for the family to care for the patient at home and improve comfort for the patient. Check with your individual insurance carrier to find out the full extent of the potential cost of hospice care they will cover. Samaritan’s Social Work staff also can help families determine their covered benefits. They also assist families to resolve any financial hardships that may arise from gaps in coverage. Sometimes, our hospice patients require a more acute level of care than is recommended in the home. The Samaritan Inpatient Hospice Centers in Mount Holly and Voorhees offers a soothing home-like setting for these services, when appropriate. Patients requiring hospitalization must first call their hospice nurse. Families may be responsible for bills relating to unauthorized calls to 911 or visits to the hospital. The patient and family should review all anticipated treatments, procedures or testing with the hospice team nurse prior to having them done. 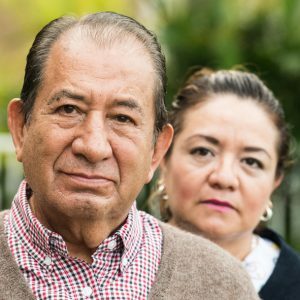 If they are not related to the hospice diagnosis, the charges may be the responsibility of the family. The cost of hospice care will vary depending on a number of factors, including whether you have private insurance, Medicare, or Medicaid. With that in mind, it’s difficult to give a general cost. We instead recommend that you contact us for a free, no-obligation consultation, and we can begin discussing care options and start to give you a general sense of the cost of hospice. You can speak with an expert 24/7 to learn more: (800) 229-8183.